In just two sleeps I’ll be sitting on a beach, sipping some overly boozy beverage, (probably way too early in the morning to be drinking), hopefully with a paper umbrella in it, and I CAN NOT WAIT!!! I am going on a trip with 15(!!) family and friends to Montego Bay, Jamaica. Man oh man do I need a vacay. After turning my hobby into a full-time career, writing, photographing, and editing (5 times!) 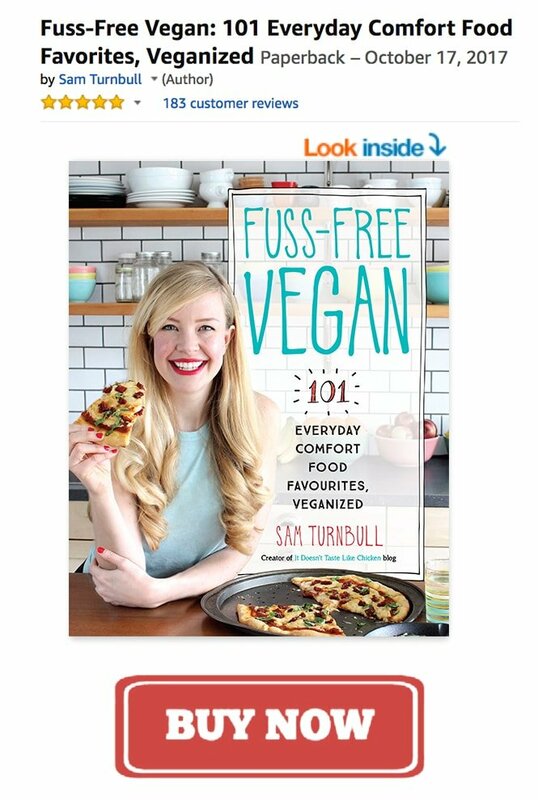 my cookbook, and working basically all day, every day these past 2 years, a vacation is just what my doctor ordered. …ok well my doctor didn’t order it, but maybe he would if I asked him too… please doc, tell me to go on vacay! This is my last post while I’m here, at home, until I return. But fear not friends, you will still get two more posts while I am away. 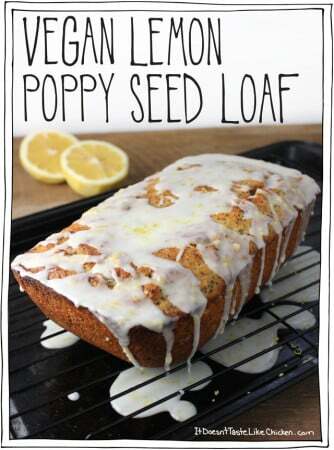 Yep, I didn’t want to leave you guys hanging without any vegan deliciousness for a whole week! That said, I hope to not check social media/comments/all things blog too much while gone, so if there are questions or typos () be patient! I will get back to you on my return. If you want to follow along on my vacay, make sure to follow my Instagram account @itdoesnttastelikechicken. I will also be sharing an epic post about my trip and how it was to eat vegan in Jamaica when I get back (as per your requests on Facebook). Woot! On to deliciously delicious Vegan Banana Bread Oatmeal deliciousness! (See my super clever adjectives there… yeah, this writer’s brain is tired). 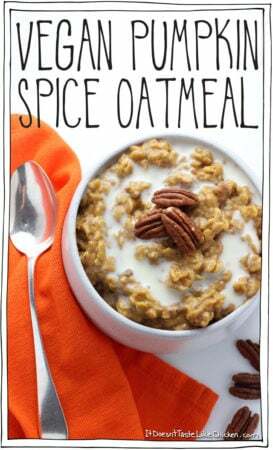 I sometimes hate to admit it, but I LOVE oatmeal. 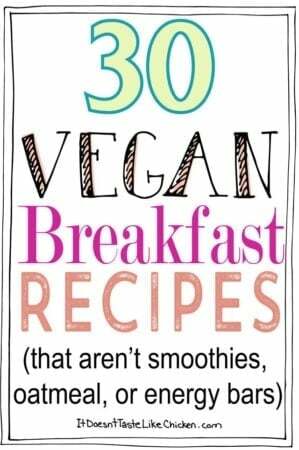 I eat it for breakfast most mornings. 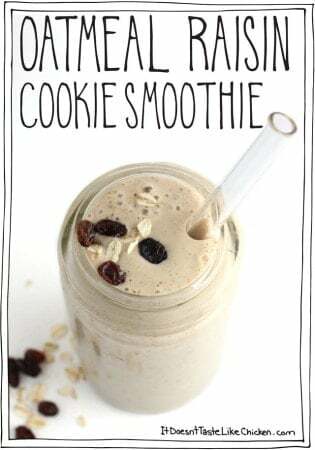 It sounds so very vegan, I know, but it’s just so satisfying and easy, and I’m always inventing new flavour combos. The possibilities are endless!! 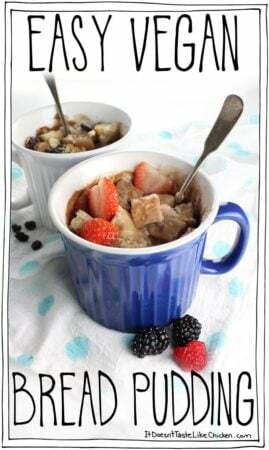 This vegan banana bread oatmeal is my new favourite thing ever. 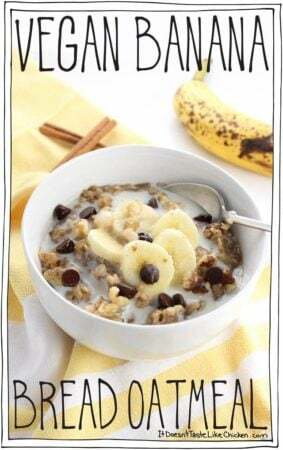 The oatmeal is sweetened with mashed banana and dates, spiced with a bit of cinnamon and vanilla, then topped with more banana, walnuts, and chocolate chips (because, chocolate). 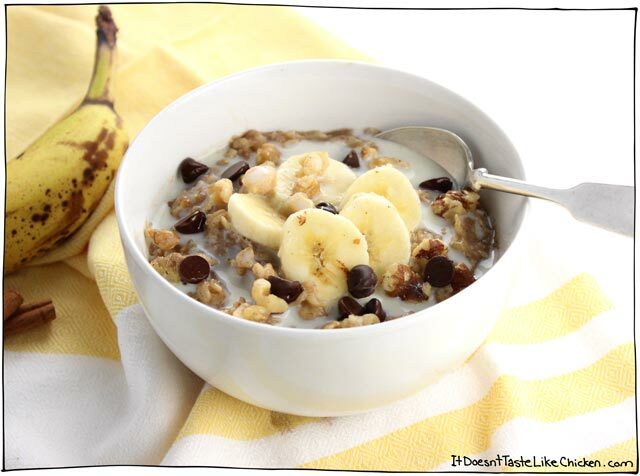 Sweet, banana-y perfection + walnut crunch= YES! Seriously so so so good. It tastes just like the best slice of still-warm banana bread that you’ve ever had. No baking required! Tastes just like the best slice of still-warm banana bread that you've ever had. No baking required! Add the mashed banana, water, oats, dates, vanilla, and cinnamon to a small pot over medium heat. Bring to a simmer and cook for about 5 minutes, giving a stir every now and then until the oats are tender and most of the water is absorbed. 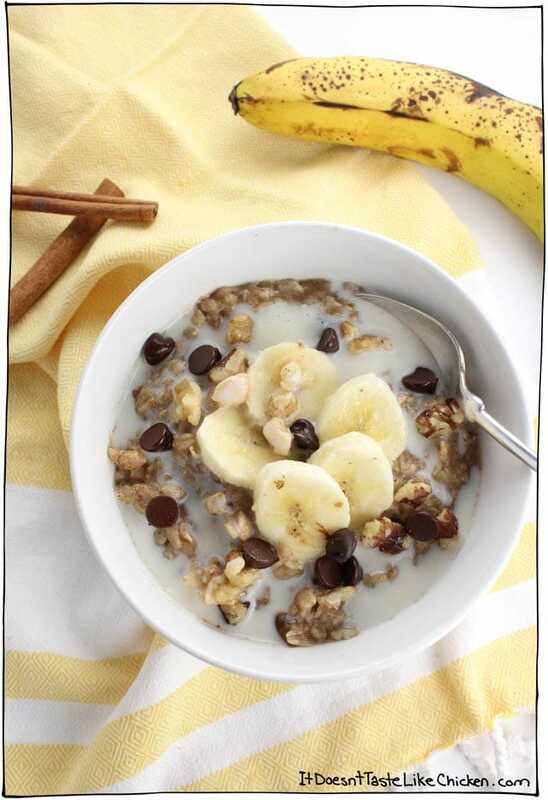 Divide among 2 bowls and top with the banana slices, chocolate chips, walnuts, and a drizzle of non-dairy milk. I just had it for breakfast, it was so yummy! Definitely the best oatmeal I’ve had! A perfect start to my weekend! Thanks Sam! Wow, this is so close to the breakfast I’ve had every day this winter. The only differences: 1, I add the banana in pieces on the top right into the pot and cook for 5 min. then I stir it , cut off the heat and rest covered for another 5 min. 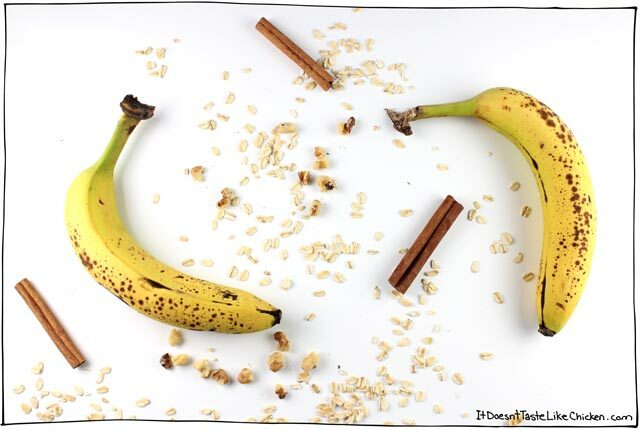 The banana softens into warm lumps of sweetness; 2. I used to add cinnamon and candied ginger for the spice and sweetness, but switched to Pumpkin Pie Spice and either Agave or Stevia; 3. although it sounds delish, I don’t add the chocolate – too easy for me to become addicted to that stuff. I’m amazed at the energy I feel throughout the morning starting my day off with this incredible meal. Does this freeze and reheat well? I haven’t tried it myself, but I don’t think so. I made this for breakfast and it was great! I loved knowing all the sweetness came from fruit. And my apartment really did smell like banana bread when it was all done. I used mini chocolate chips so it melted completely in and gave everything just a hint of chocolate. Perfect! Thanks for the recipe and have a great trip! TAKE ME WITH YOU, SAM! Hahaha! Wouldn’t that be fun, a vegan field trip to Jamaica? I hope you like the oatmeal! Yeah! That would be fantastic! Hi there, this looks yummy. I’m wondering what brand oats you use? I don’t think I’ve ever seen “large flake” oats. 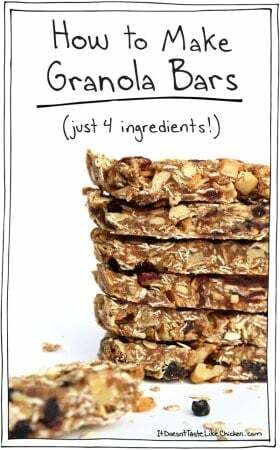 They are also called rolled oats, old fashioned oats, or whole oats depending on where you live! I’m just referring to the whole kind, and not instant oats, although any kind would work. Enjoy!